(Comfortable and cozy).We would stay again (proximity to ferry and Sidney and Victoria is good). Sidney is a beautiful little city with many unique and beautiful things to see and do. 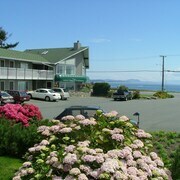 The hotel is just off the main road in Sidney and an easy walk to shops and food. And, fell in love with Sidney - so I shall be back and would definitely stay here again. 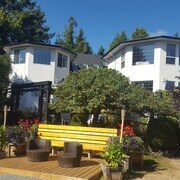 Lots to do in area visit Victoria, Sidney and see the area around Brentwood Bay. We appreciated the fruit and other goodies left in the kitchen. It was clean, roomy for 4 people, we liked the fire place. It took a while for the heat to be turned on - we were ready to inquire when we heard the furnace come on. The only downside to this facility is eating is in a pub rather old. Otherwise a good hotel. Where to find Sidney hotels near an airport? 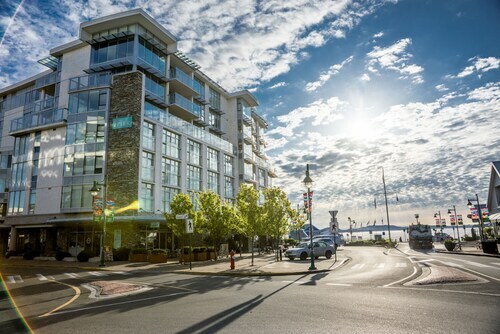 Where can I find hotels in Sidney that are near tourist attractions? If you are after comfortable long-stay or short-stay lodgings in or around Sidney, it's useful to know that Expedia provides many options. Within our comprehensive accommodation pages you can browse 20 short- and long-stay options within 0.1 kilometres (0.06 miles) of Sidney's center. Would you like to find a place near the heart of Sidney? 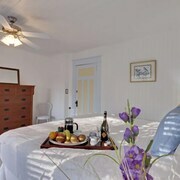 The The Sidney Pier Hotel & Spa and Beacon Inn at Sidney B&B can be found a short distance of the town center. 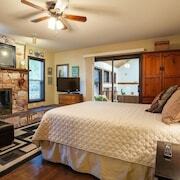 Our extensive database contains just a few budget accommodation options in Sidney. The Victoria Airport / Sidney Travelodge is one such offering. 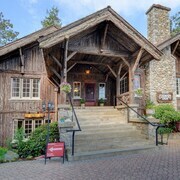 The Hastings House Country House Hotel is located 25 kilometres (15 miles) from the center of Sidney. 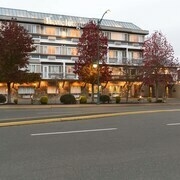 Alternatively, the Oak Bay Beach Hotel is situated 25 kilometres (16 miles) away. 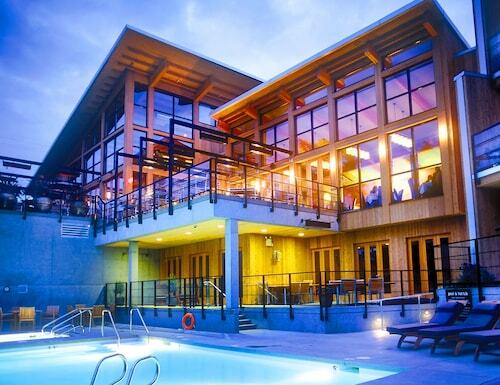 Some other alternatives here include the Brentwood Bay Resort & Spa and the Poets Cove Resort & Spa. After spending time in Sidney, take a little time to investigate the other attractions in the Vancouver Island area. 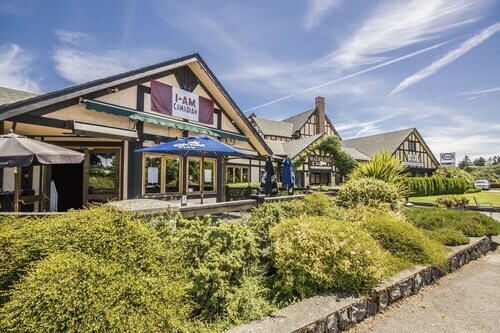 Spend time at Vancouver Island's old towns and history museums. Those who love the great outdoors could also make the time to to enjoy the region's forests, rivers, streams and lakes. Fun-loving visitors can also try snowboarding in this part of Canada. 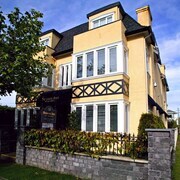 Downtown Victoria is 25 kilometres (16 miles) to the south of Sidney and is home to the Chinatown and George Mason's Heritage Home. Should you wish to spend a few nights in Downtown Victoria, be sure to check out the The Fairmont Empress and Humboldt House B&B. 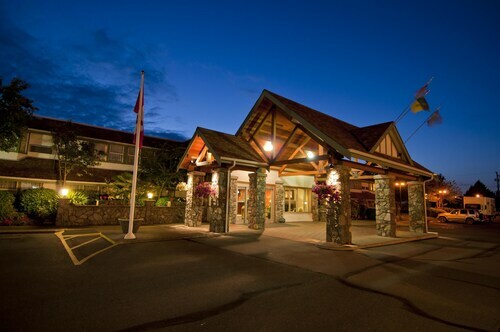 25 kilometres (15 miles) to the south of Sidney, you can also stay at Esquimalt, home to the Victoria Regent Waterfront Hotel & Suites and Delta Hotels by Marriott Victoria Ocean Pointe Resort. The Sooke Salmon Charters and Esquimalt Gorge Park are a couple of the popular attractions to see should you visit Esquimalt. If sport is a favourite pastime, take the time to visit BC Place Stadium, which is 75 kilometres (45 miles) to the north of Sidney. Book a hotel close to the action at the Fairmont Pacific Rim or the Shangri-La Hotel, Vancouver. 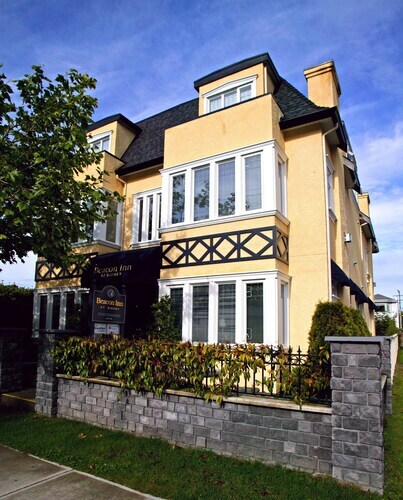 For those travelers planning on flying via Victoria International Airport, you might like to stay at Best Western Plus Emerald Isle, or The Cedarwood Inn & Suites, which are both a short distance away. 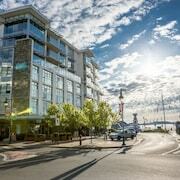 What are the most popular Sidney hotels? Are there hotels in other cities near Sidney? 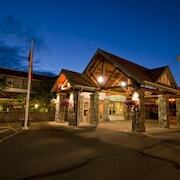 What other types of accommodations are available in Sidney? Explore Sidney with Expedia.ca’s Travel Guides to find the best flights, cars, holiday packages and more! Flights from Pierre Elliott Trudeau Intl. to Daniel Oduber Intl. Flights from Vancouver Intl. to Port Columbus Intl. Flights from Winnipeg James Armstrong Richardson Intl. to Suvarnabhumi Intl. Flights from Pierre Elliott Trudeau Intl. to Luis Munoz Marin Intl.